Cummins Falls State Park is a 211-acre (0.85 km2) state park located northwest of Cookeville in Jackson County in the U.S. state of Tennessee. 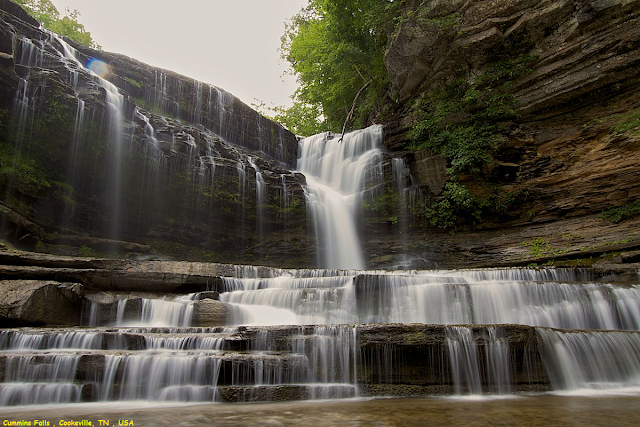 Its namesake, Cummins Falls, is a 75-foot (23 m) waterfall, which is located on the Blackburn Fork State Scenic River. The park was purchased and created by the Tennessee Parks and Greenways Foundation in 2011. By volume, it is the eighth largest waterfall in Tennessee. The falls, with a total height of seventy-five feet, consist of two drops. The first has a plunge drop of fifty feet, ending in a shallow pool.